Last Saturday we had the first stop of the GNOME LA Tour, we celebrated the GNOME Day in Concepción, Chile, what can i say, the event was incredible, lot of people, great talks, good conversations and idea sharing, next stop Foz de Iguacu in Brazil, see you there next weekend!. 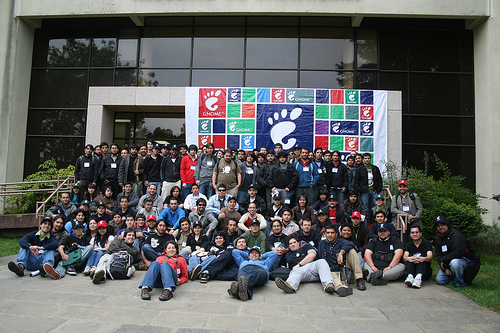 GNOME Day Attendees - Photo by Germán Poó Caamaño. Also checkout the GNOME Day flickr group for more pictures of the event and if you have some please send them there.